When preparing for your delivery, it is important to know who will be on your birth team, working to give you the best birth experience possible. For women with low-risk pregnancies, midwives and doulas are invaluable resources, but they each serve in different capacities. Because of this, it is helpful to understand the difference between the two and to know why using both can be beneficial. Midwives are primarily concerned with the medical aspects of pregnancy and delivery. They are trained and licensed, and many are even registered nurses! They will provide prenatal checkups to ensure both you and the baby are thriving, and they will attend the delivery once the time comes. Midwives desire to give the mother more control when it comes to her birth experience. Because of this, women who choose to use midwives have lower rates of cesarean sections as well as fewer medical interventions overall. Doulas, on the other hand, focus more on the mother’s emotional well-being. Both pregnancy and the postpartum period can be stressful, and they’re here to help! Doulas can provide you with advice and guidance to help you draft a birth plan. They can provide natural forms of pain relief during the labor, working with your partner to do everything they can to keep you calm and happy. And once your baby arrives, they can assist with your recovery at home and with the transition to life with a newborn – even staying with you overnight to help you get some much-needed rest! The Nest understands that a mother’s emotional state can impact her pregnancy, labor, and her recovery – both positively and negatively – and so they offer both birth and postpartum doula services. When you hire one of their birth doulas, she will meet with you twice during your pregnancy, helping you create a birth plan and answer any questions you may have. When it comes time to deliver, she will do what she can to help your birth team follow that plan, all the while providing you with natural forms of pain relief. 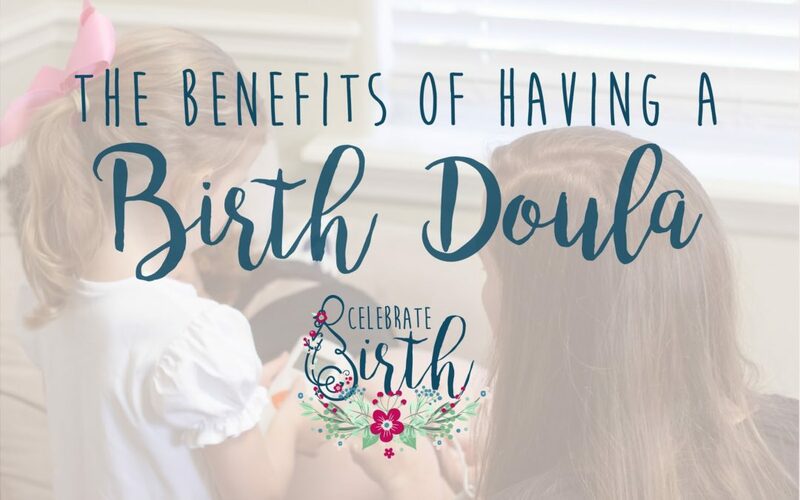 Your doula will also be a source of unbiased, evidence-based information should you need to make a decision during your birth that you hadn’t anticipated. And her role of support isn’t just for the laboring mother – she is there to support your partner as well, helping them to be involved in the birth experience as much as possible. Your birth doula will also visit you shortly after your baby is born to assess how your family is adjusting to the transition at home and to offer advice or referrals that will help make that transition easier for you all..
Because we understand that your pregnancy journey doesn’t end once your baby is born, The Nest offers hourly postpartum doulas who offer additional care for both the mother and her baby for the first three months following the delivery. This service includes helping the mother establish proper feeding methods, helping the family create an effective routine, and even watching the baby while the mother rests. This transition period is crucial to family bonding and newborn development, and research has shown that continued care for the mother’s emotional health can prevent postpartum depression. Using both a midwife and a doula can make your pregnancy and labor a joyful event. Both women will be sensitive to your needs and preferences and will help you have more control over your experience. Though the two often work independently of each other, their care contributes to the holistic health of the mother and the baby.